Go to www.SFRhub.com to custom search and view additional information! This 49 home Single Family Rental investment portfolio is located in Kansas City. Kansas City is the central city of the Kansas City metropolitan area and the 37th most-populous city in the United States. 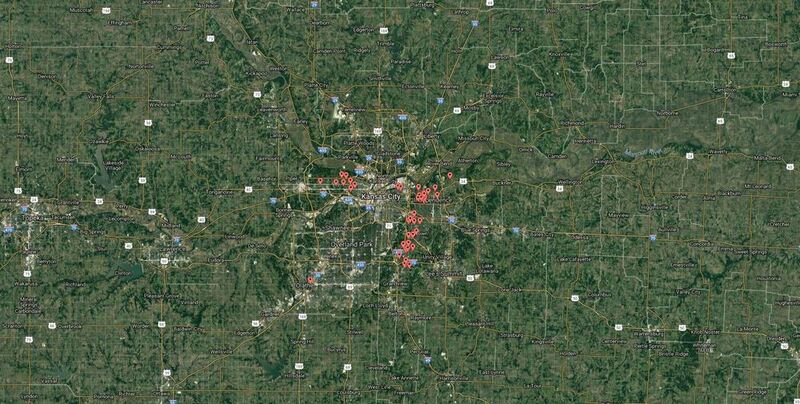 The portfolio is comprised of properties located in Kansas City, Independence, Raytown, and Olathe. This portfolio offers an investor immediate cash flow in the Kansas City market with 100% occupancy. Every property within this portfolio has been extensively renovated and are in turn key condition. Sellers spared no expense with over $1.2mm in CapEx improvements. This portfolio can be packaged for an investor with any of our other portfolios in Missouri, as well as throughout the country. The average year-built of homes in this portfolio is 1949, with an average of 1,015 square feet per home. These well laid out floor plans range from 465 to 1,890 livable square feet, averaging 1,015 square feet. Rental rates throughout the portfolio are on average $893 a month, which are continuing to climb in this submarket and will continue bringing increased cash flow to investors bottom line over the years. 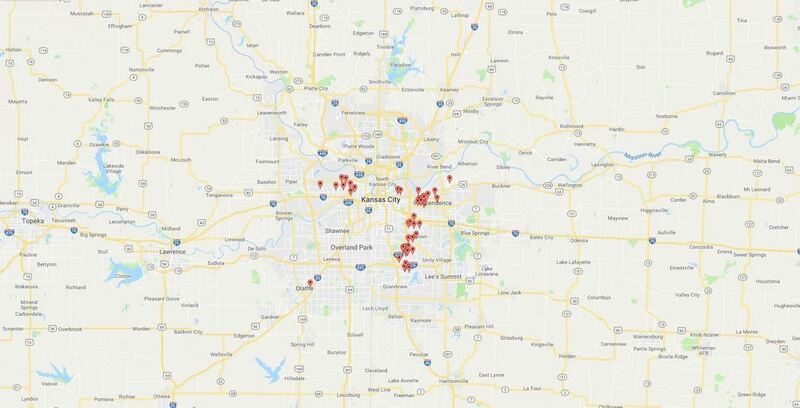 This 49 home SFR investment portfolio is listed at only $95 per square foot, compared to the median list price of $129 per square foot in the Kansas City market. The Kansas City market is also at a median list price of $187,950 per home, which is 113% higher than the asking price of this portfolio of $96,939 per home. Kansas City home values have gone up 11% over the past year and are predicted to rise by 6.8% within the next year. With over six million residents, Kansas City is the 37th-most populous city in the US. Kansas City is the largest city in Missouri and straddles the Kansas–Missouri border with an estimated population of 481,420 in 2016, a 4.7% increase. From 2007 to 2017, the downtown residential population in Kansas City quadrupled and still climbing. KC ranks as the 6th-fastest growing downtown in America and the population is expected to grow by over 40% by 2022. Due to rapid growth and strong demand, occupancy rates are in the high 90% and ranked as #6 in the country for real estate investment. In 2009, Kansas City appeared on Newsmax magazine's list of the "Top 25 Most Uniquely American Cities and Towns," a piece written by CBS News travel editor Peter Greenberg. There are especially a lot of people living in Kansas City who work in an office and administrative support, sales jobs, and management occupations. Missouri is the 18th-most populous state in the US. The United States Census Bureau estimates that the population of Missouri is 6,113,532. In 2017, the Tax Foundation rated Missouri as having the 5th-best corporate tax index and the 15th-best overall tax climate. Missouri's corporate income tax rate is 6.25%; however, 50% of federal income tax payments may be deducted before computing taxable income, leading to an effective rate of 5.2%. The state of Kansas has an estimated 2018 population of 2,911,5005 residents, an increase of 2.0% since 2010. From Q2 to Q3 in 2018, Kansas experienced a 2.3% increase in GDP. According to the Kansas Department of Labor's 2016 report, the average annual wage was $42,930 in 2015. Both wages and personal income grew in Kansas during 2017, as weekly wages averaged $868 in 2017. Unemployment remained low as the rate decreased to 3.6%, which is the lowest recorded since 2000. In addition, the labor force participation by residents older than 16 in the state of Kansas was highest in the nation (66.6%).